A unique spirit designed to bring vodka and gin lovers together by pairing the clean pure taste of premium vodka with the delicate botanicals of the finest gin. DRINKLAB Hop Vodka is created from the highest quality locally sourced Peaches and Cream corn grown in Chatham, Ontario. Using a traditional hand-crafted method, it is five-times distilled and blended with pure water in small batches, slow-filtered and carefully infused with a special blend of West Coast hops. 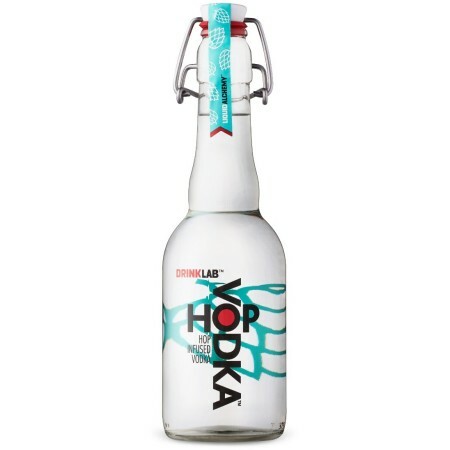 DRINKLAB Hop Vodka is smooth, creamy and slightly sweet, with a distinctive hoppy aroma and flavour featuring delicate notes of citrus zest and pine. DRINKLAB Hop Vodka is available now in 375 ml swing-top bottles in Ontario ($24.85 at LCBO) and Newfoundland & Labrador ($25.07 at NLC). It is also pouring at select bars and restaurants in both provinces.